Join the Callwork's team building in Puerto Galera! Catch Clover with his boylet hunting! 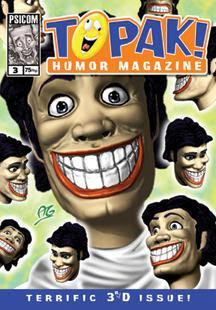 Go buy the Topak Issue 3 in all bookstores nationwide. Don't forget to read Callwork every Sunday in Manila Bulletin Comic strips section!